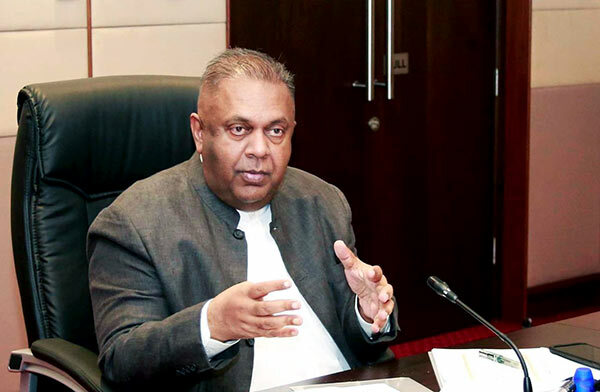 Finance Minister Mangala Samaraweera yesterday said he believed that it is important to be long-sighted and clear-headed about the monumental choice facing all Sri Lankans at the upcoming Local Government (LG) election. Issuing a statement ahead of the LG election, Minister Samaraweera reiterated that it was an election that would decide if democratic institutions and traditions, painstakingly rebuilt since January 2015 would be torn down and laid to waste again. “It is an election that will determine if Sri Lankans will live free or under the yoke of fear, impunity and grotesque abuse of power by a single family and its henchmen. As memory fades and we are embroiled in the politics of the present, it is easy to forget that once, not so many years ago, a government shot and killed its citizens for the crime of demanding clean water,” he said. He said the local government election on February 10 was much more than a regional contest to capture political power in urban and municipal precincts. “It is an old regime’s first real attempt to recapture power and restore an old, corrupt and dictatorial order. Disillusioned by the road ahead, which seems fraught with difficulty and the potential for, lost opportunity, this constituency may waver. But I believe it is important to try and build on what has already been achieved and keep the window open for peace and change. I believe it is important to have a long memory,” he said. Minister Samaraweera said we need to ask ourselves, where all the white vans have gone and where have the grease yakas gone? “We must question why the Government’s political critics and dissidents are not being thrown in jail. Why journalists are not being abducted or killed. Remember the night races — the gift of an indulgent father who wielded all the power of his presidential office to ensure his Sons could have a good time? Remember the time when young men paid with their lives for the crime of being a rugby rival? Remember how it was impossible to speak openly about the excesses of the ruling family?,” he said.